in filing your Seaferes Documentation. just get in touch and ask us about it. You can also talk to us online using Live Chat. 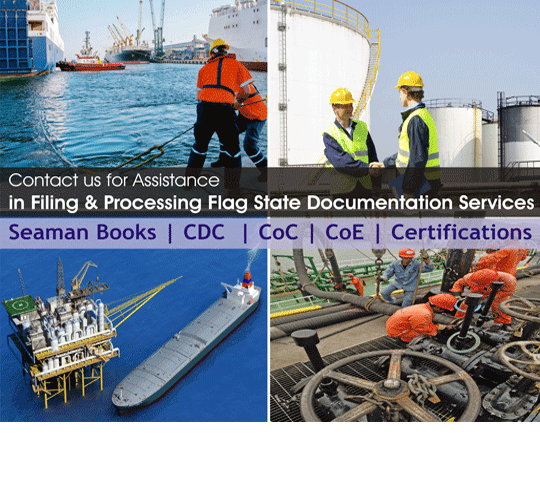 We are delighted to introduce ourselves as a Complete Flag State Documentation Company specializing in Filing and Processing Seafarers Documentation. In our endeavor, we would like to partner with you in your search for the right resources and offer to assist you in Filing / processing Seaman Record book or Marine Licenses / Certificate of Competency in the shortest possible time and at a cost-effective fee. 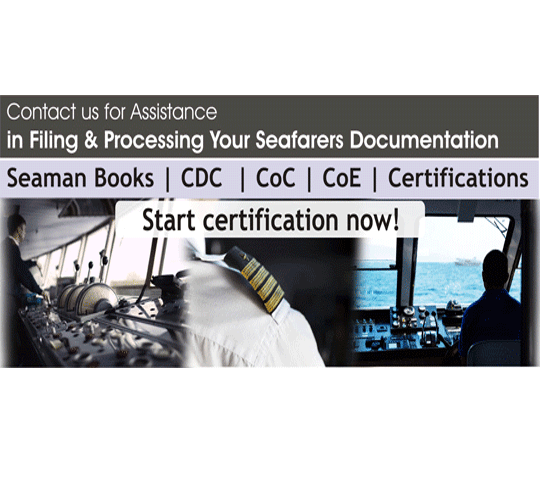 We take care of complete seafarers documentation including application forms and requisite documentation. As a result, our client’ s paper work is lessened. Well being of our clients first! 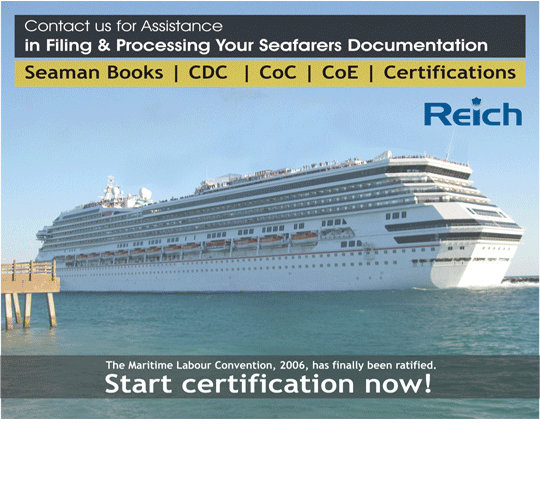 Reich Shipping Solutions was conceived with a vision to abridge the complex process of filing state flag seafarers documentation thereby liberating clients from all the hassles associated with process by endowing simplified facilitation services to seafarers. 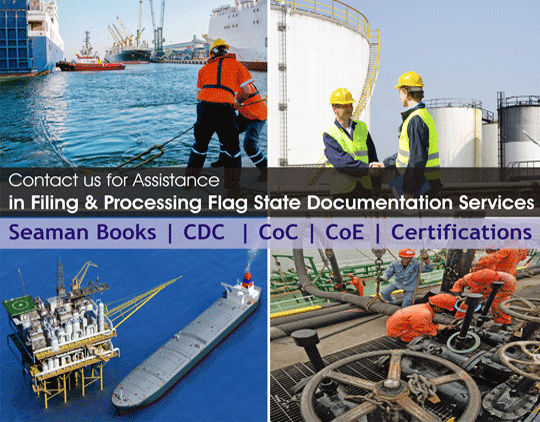 Reich Group caters to providing Flag State Facilitation Services to shipping owners, operators, managers, manning agents and individual seafarers. The talents of the industry coupled with innovative solutions and our pro-customer approach help us in delivering quality services while ensuring security and sustainability. Call us and forward the requisite scanned documents by email OR Send the documents by courier / speed post to our office address and get the processed Seamans Book / CDC / CoC by courier or speed post to your destination. What is a Seaman Book or Seaman Discharge Book? What are the documents required to apply for Panama Seaman Book or CDC for other Ratings ? © Copyright 2014. Reich Shipping Solutions. All right reserved.